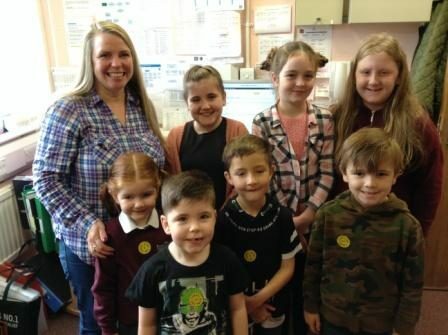 Sumdog is well embedded in St Joseph’s with children voraciously going on-line at home and school to take part in competitions on the website. At St Joseph’s Sumdog is used for Maths and the children simply love it! One of our P7 pupils is particularly good. 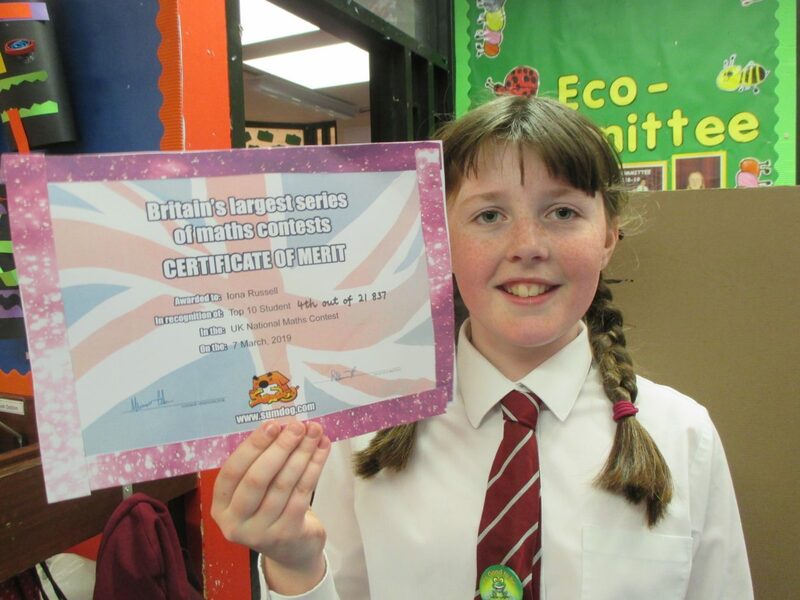 On 7 March, 2019 Iona managed to rank as number 4 out of 21837 pupils on Sumdog then on 21 March, 2019 she was the top student in Argyll and Bute!! 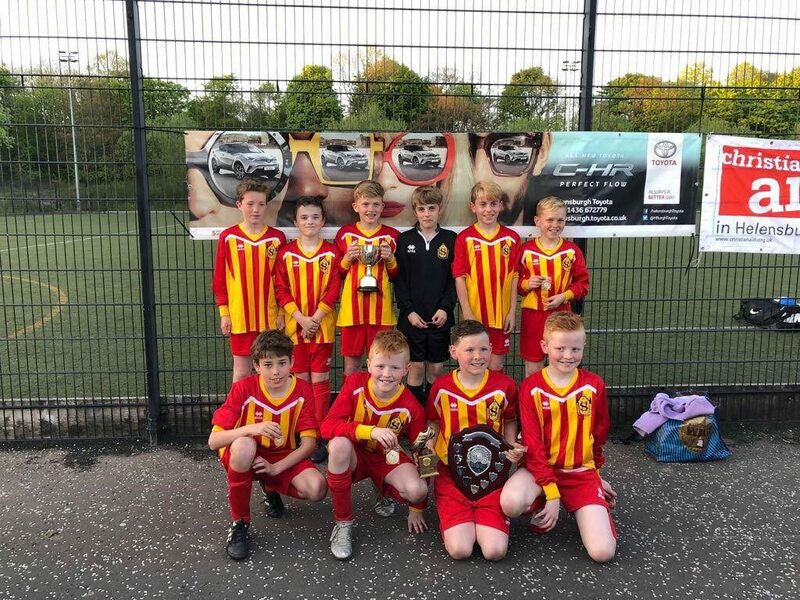 On that particular week she had been on her residential week at Auchengillan so only had Friday night and Saturday to steam ahead of all the other pupils to take first place! Iona is not alone in her success with P2 winning class of the week this month too………what a great achievement for all concerned! 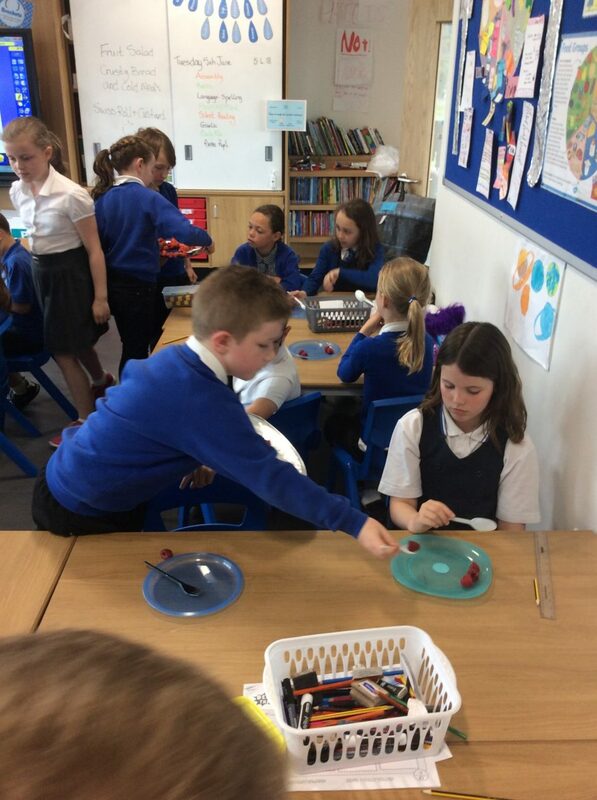 On Wednesday 3rd October, Garelochhead Primary held a curriculum development event in school. 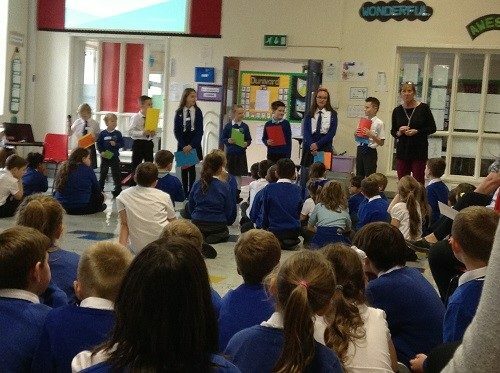 The Pupil council and house captains wrote a letter of invitation that was sent to all the local businesses to invite them to come and work with us on 4 questions related to the 4 contexts of learning. 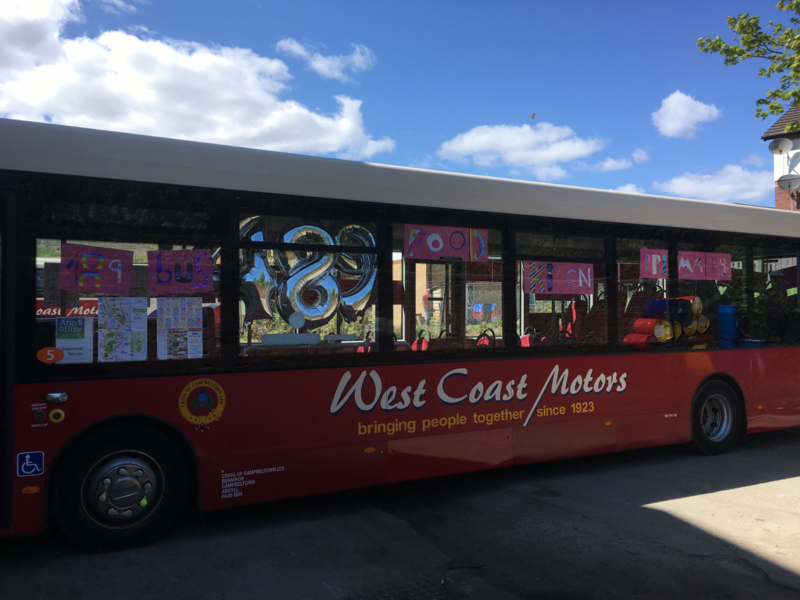 20 representatives from the Ministry of Defence, school health, dental service, accountancy, engineering (Babcock and Jacobs), outdoor learning, the local bus driver, Police Scotland, Pre-5, the local minister and youth worker and parents took part. 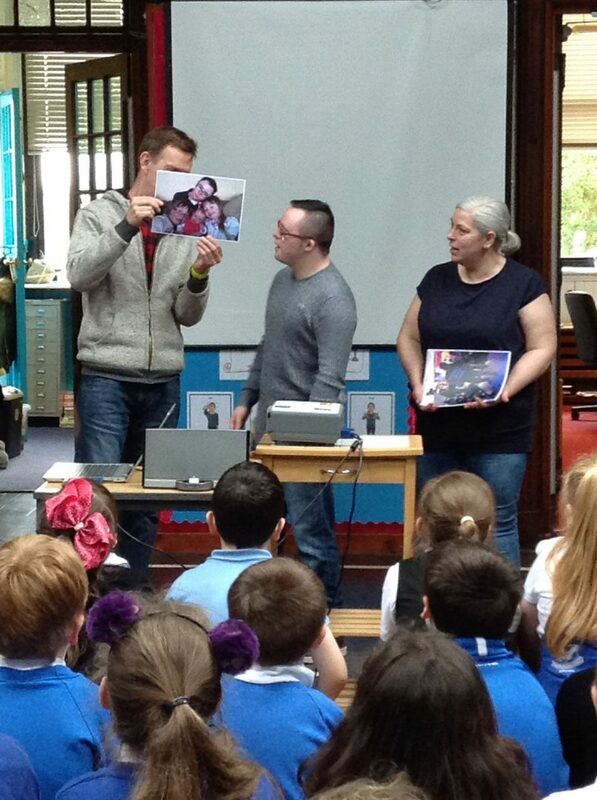 Last term, pupils at St Mun’s Primary, Dunoon, were set an unusual family challenge. 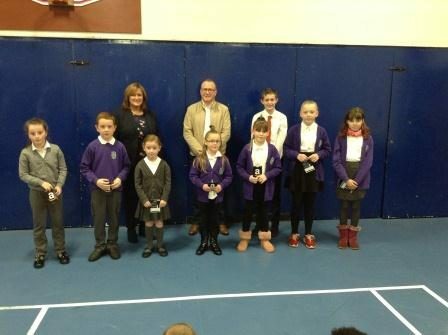 The school worked in conjunction with Fyne Homes, who were building a new housing development near the school. Families were invited to choose a name for the estate. 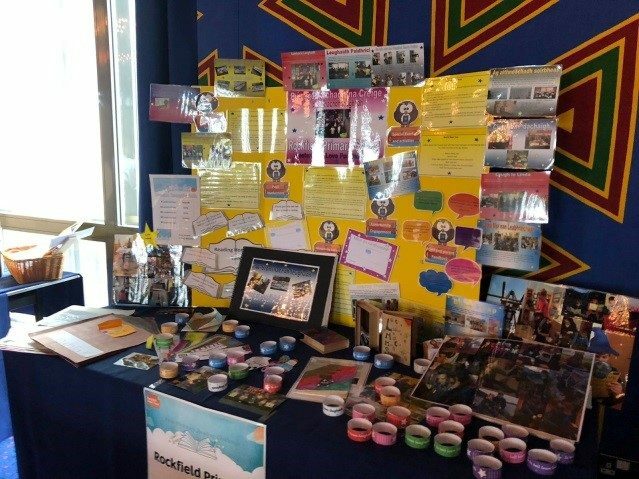 There was a good response to the competition and a wide range of names were suggested. 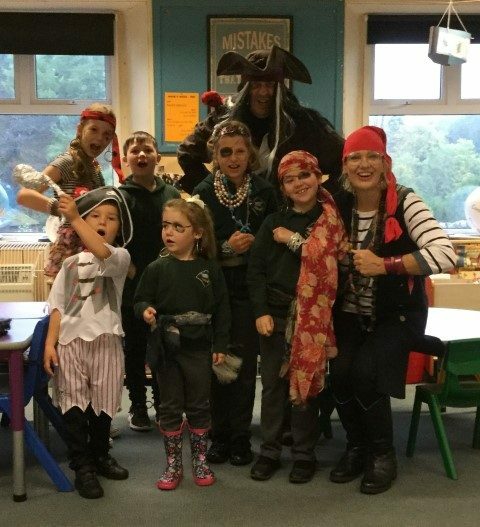 All local pirates celebrated International Talk Like A Pirate Day by kidnapping all the staff and the children, and taking over the school. They spent the day practising their pirate vocabulary, discovering their pirate names, designing pirate flags to match their desperate characters, making floating pirate ships and building pirate ships from large boxes so they could sail across the briny deep. There were songs and stories, the making of ships biscuits and a hunt for a lost treasure chest. We are please to say that all staff and children were returned safely the next day, though strangely tired! The delights of a rural school where the pupils sow, nurture, harvest, prepare and distribute the harvest from the school grounds. 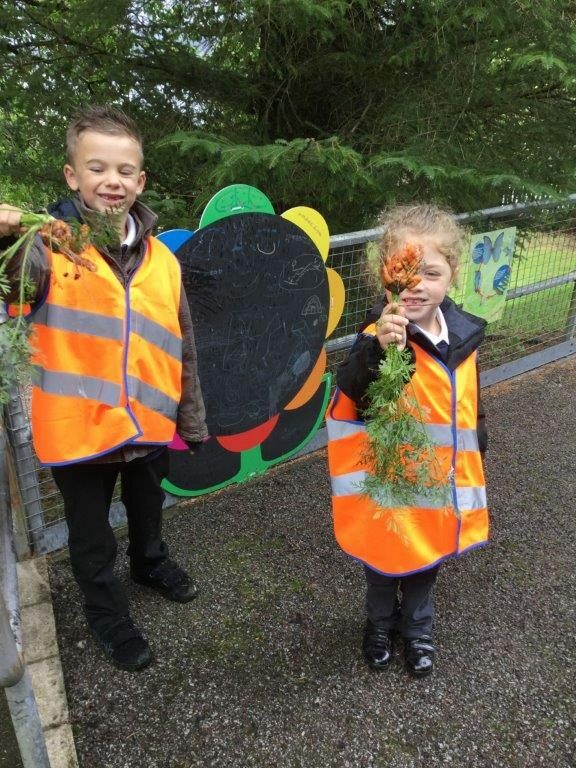 The pupils of Minard Primary school made plum and apple crumble to give away to members of the community along with harvested parsley, carrots and leeks. The gifts were delivered almost as soon as they were gathered from the gardens. The feedback from our small community was excellent with several pots of soup on the go locally that night. Sandbank visit to Benmore Gardens. 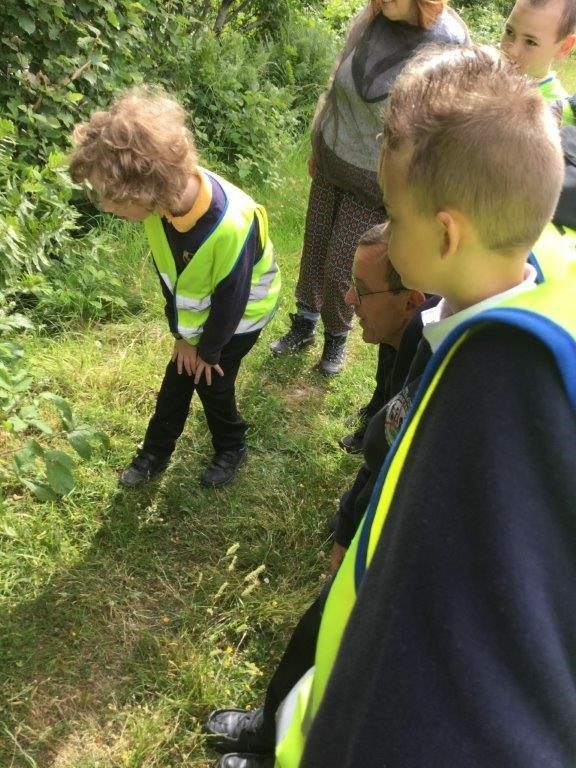 The upper primary classes at Sandbank Primary enjoyed a fabulous day at Benmore Botanical Gardens where they took part in fun, outdoor learning activities inspired by the book ‘The Lost Words’ by Robert Macfarlane and Jackie Morris. The children were split into two groups. One group worked with the poems in the book and had to guess the subject of the poems by a series of clues in a bag. 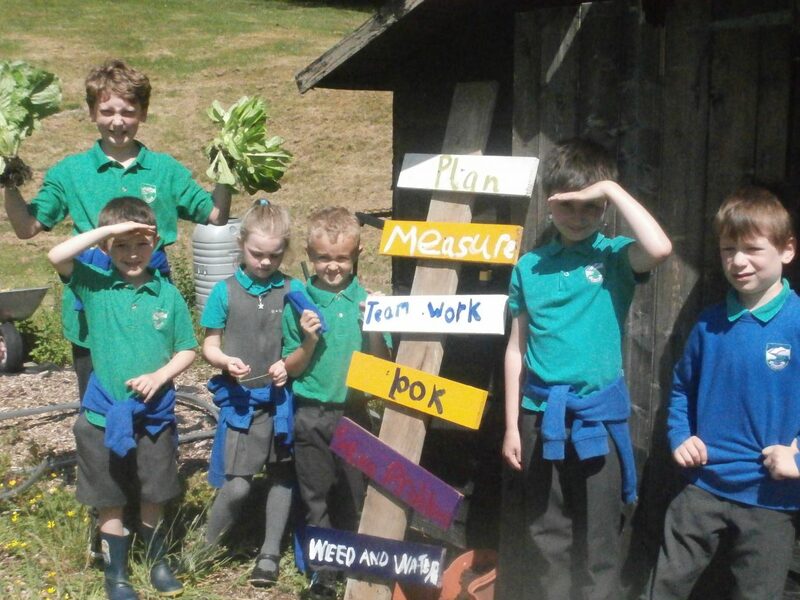 Children at Luss have been enjoying eating the vegetables that they have grown from their Waitrose Grow to Sell box. They have grown lettuce, radishes, spring onions, pak choi, rhubarb , raspberries and herbs. They have been enjoying eating the salad with their lunch and have taken the extra lettuce home. They have also painted signs to show all the skills they use when working in the garden. P4 have been learning about healthy eating and the different food groups which should be included in a healthy diet. The designed their own healthy menus and then voted for a class menu which they could prepare in class. 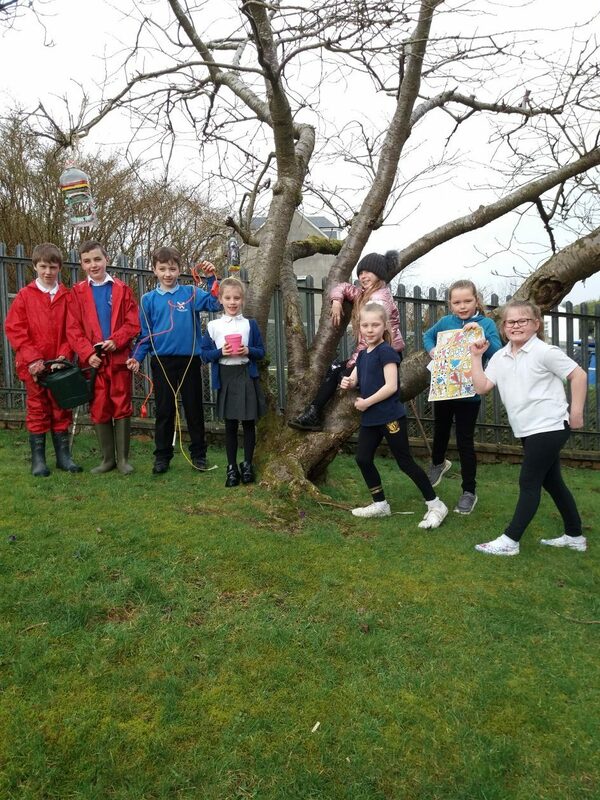 DEVELOPING OUR OUTDOOR LEARNING ENVIRONMENT AT DUNBEG PRIMARY SCHOOL. 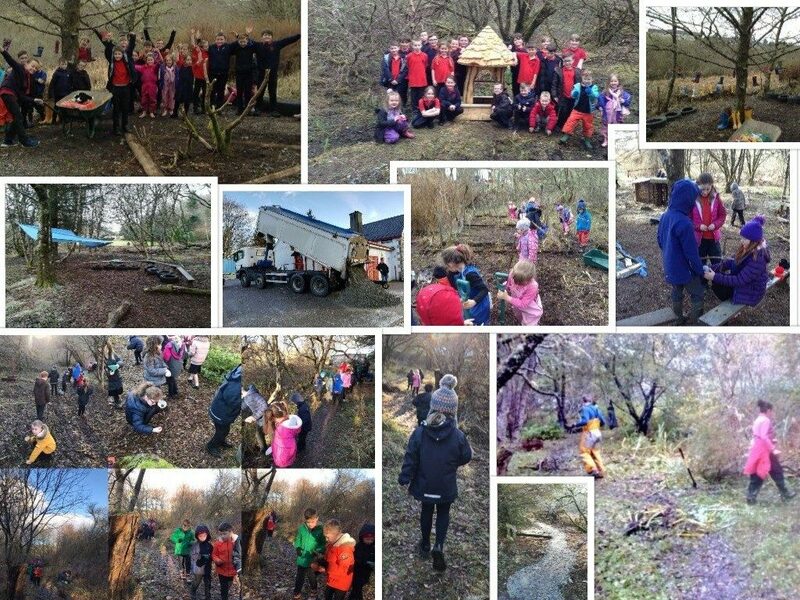 Whilst Dunbeg Primary School is treasured by its local community; its grounds are a treasure in their own right. 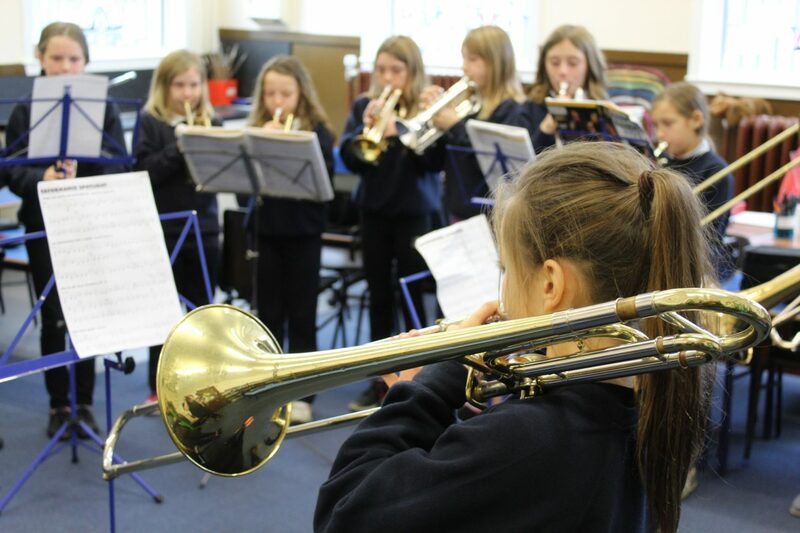 Over the past seven months pupils, staff and parents have begun to develop them as an accessible, fun and exciting place to learn. August 2017: The wetland/woodland area hinted at past projects but was thoroughly overgrown and boggy. An inspiring place however with clear educational and well-being potential!